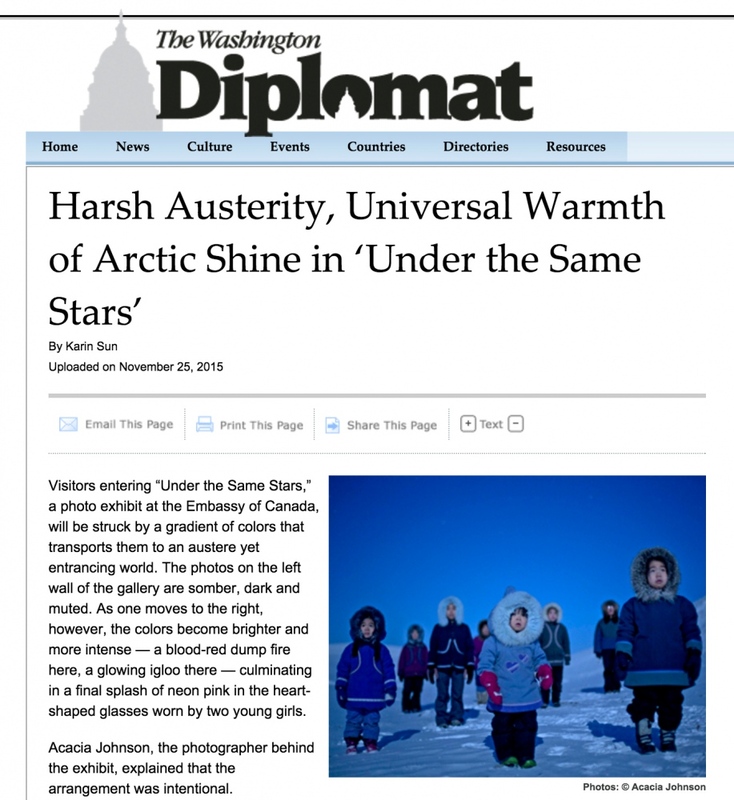 As 'Under the Same Stars' remains on display at the Canadian Embassy in Washington DC, the Washington Diplomat has chosen to feature it in their December issue. You can read the article here. Thanks to Karin Sun for such a thorough and thoughtful interview!